Yalukit-Willam, a sub-branch of the Boon Wurrung territorial group within the mighty Kulin Nation, are the traditional owners of Euroe Yroke (St Kilda). Aboriginal people have lived in south eastern Australia for more than 60,000 years. Shellfish was cooked at Point Ormond, huts were built beside Albert Park Lagoon, axes sharpened at the sandstone cliffs (the Esplanade) and gatherings held at the ancient Corroboree Tree at St Kilda Junction. The Yalukit-Willam had the run of the place and everything was peachy but then the Europeans arrived. Captain Cook totally missed the bay and thought Victoria was joined to Tasmania. Silly bugger! The Dutch might have visited but they kept it to themselves. Then, all of a sudden in 1802, a bunch of Brits decide to go exploring the bay. First the HMS Lady Nelson, commanded by John Murray and, ten weeks later, HMS Investigator commanded by Matthew Flinders. 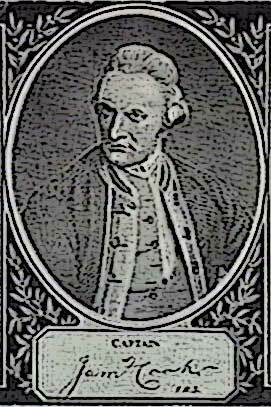 He and George Bass had decided to sail right around Australia. Europeans come and act like they own the place! At first they tried to settle at Sorento and gave up pretty quick. Thirty years later Tasmanians settled in Melbourne - which explains a lot of things. John Batman traded some stuff for the place. The area is called 'St Kilda' when Superintendent La Trobe, at a champagne picnic on 'Green Knoll' overlooking the bay, suggests that the area be named after the schooner-yacht 'Lady of St Kilda' anchored off the foreshore. The yacht, in turn, had been named in 1834 by its then owner Sir Thomas Dyke Acland as a tribute to his intrepid wife who, in 1812, was the first English Lady to be rowed ashore to the remote Hebridean (Scottish) archipelago of St Kilda. 'St. Kilda' is actually a cartographic typo of the original Viking name 'skildar', which means sheild, because the islands looked like a row of shields from the sea. St Kilda becomes a holiday destination for the well-to-do escaping the stink of Melbourne's open sewers. By 1852 Melburnians are travelling by omnibus to holiday and party in St Kilda. It wasn't long before bushrangers exploited the tourism. 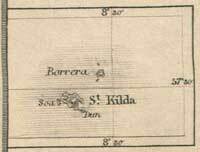 In early 1857 a train line begins its run from the city, through swamps and scrub, to St Kilda. By the end of the year the Terminus Hotel opens (renamed the George in 1866). New bathing house prosper in the view from the New Bath Hotel, the site of the Esplanade Hotel. But first it's name is changed to the Criterion and the owner soon has small string quartets and bands playing through Summer. By 1878 it's The Esplanade Hotel after starting construction as apartments. 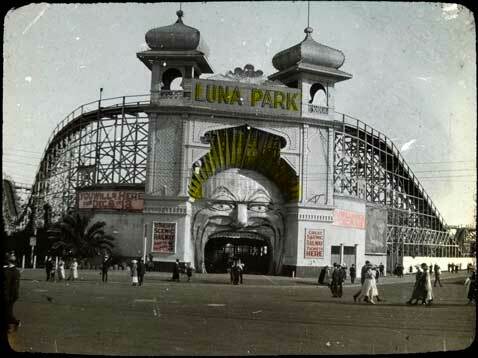 1912: Luna Park is opened with the Big Dipper and Carousel launched the next year with the opening of the Palais de Dance on the site of the Palais Theatre. Unfortunately the Giggle Palace has burnt down in 1981. It was cheap date when I was a teen. It was free! And in 1989 they demolished the Big Dipper as part of a general saftey campaign after the Scenic Railway rollercoaster derailed injuring 20 people - it is the oldest continuously running roiler coaster in the world (built in 1912)! 1864: Rupert Bunny - Born in St Kilda. 1870s: Marcus Clarke (author of For the Term of his Natural Life) moves into Robe Street with his wife, the actress Marian Dunn. 1880s: Mark Twain stays at the Esplanade under his real name: Samuel Clements. 1901: The Duke and Duchess of Cornwall and York disembark at St Kilda Pier to open the first Australian parliament. 1920: The Prince Of Wales visits Melbourne and parades along the upper esplanade. 1921: Sarah Bernhardt stays at the Espy with 12 assorted animals (not her band). 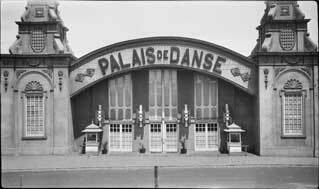 Construction of the Palais begins in 1925 on the site of the Palais de Danse (which is picked up and moved North), but the new cinema is destroyed by a fire just before completion. 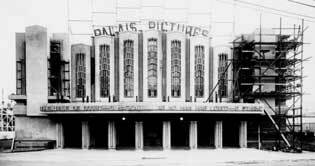 The fire convinced the owners, the Phillips brothers, to erect a grander theatre on and they commission theatre architect Henry E. White. 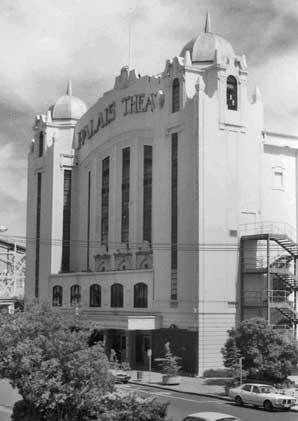 The splendid new Palais Theatre is completed in time for the Depression. In the 1940s the Esplanade and George Hotels were a resort for families from the country and half the rooms let were permanents. Many were wealthy, their rooms were carefully decorated and comfortable. At the Esplanade there was a good restaurant and beside the hotel big bands played and servicemen hung out in the lounge bar to listen to the jukebox. 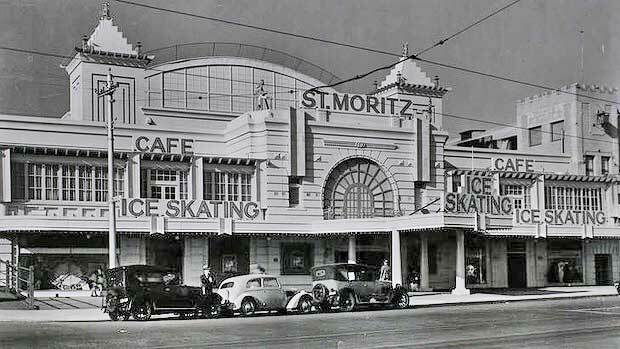 1941: St Moritz ice skating rink opens. On the right, first floor was Bananas, host to many incredible little gigs (my fave was the Sports supported by The Boys Next Door). 1942: American troops march down Beaconsfield Parade into St Kilda. Entertainment booms. 1942-45: The Prince Of Wales Hotel is General MacArthur's HQ. 1947: The site of the Banff Restaurant (next to the George on Fitzroy Street) is used as a galley for US troops. In the 1940s Sydney Nolan, Joy Hester, Albert Tucker and other artists live and paint in St Kilda. St Kilda becomes increasingly 'run-down'. 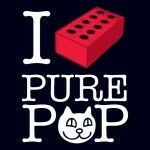 Young artists and musicians exploit cheap housing. Acland Street's café society blossoms with the influx of cosmopolitan European migrants. Jazz holds firm as St Kilda becomes ever more bohemian. In 1956 'Jazz Centre 44' opens on Upper Esplanade (now a Mc Donalds). Jewish migrants arrive in large numbers. At the end of the war they are followed by many Holocaust survivors. Restaurants, bakeries, kosher butchers appear in Acland Street and East St Kilda. St Kilda becomes a centre for Ashkenazi cuisine. In 1954 Il Cappucino (61c Fitzroy Street) features Melbourne's first Espresso macine. Leo's (Fitzroy Street) opens in 1956, the first Italian restaurant in Melbourne. Scheherezade Cafe (Acland Street) opens in 1958 and quickly becomes a home for Melbourne's Holocaust survivors seeking Ashkenazi Jewish cuisine and familiar company.